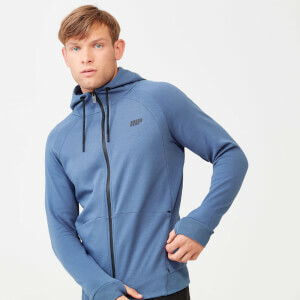 Our Swift Zip-Up Hoodie is the perfect lightweight sweat to wear to and from training, or as you relax on rest days. Crafted with a soft-touch cotton based fabric, it comes with a panelled hood, secure zip pockets and is finished with subtle silver branding. Tailored for a flattering slim-fit and complete with ribbed cuffs and waist – it’s ideal for both warmth and comfort.